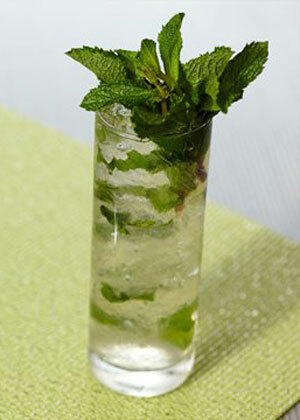 So cool, so refreshing and oh so tasty – we love a mojito! This nifty little recipe includes tequila to give it a fiery kick. 1. Muddle mint in a shaker. 2. Pour Don Julio Blanco Tequila, lime juice, lemon juice and water into the shaker. Add ice. Shake until cold. 3. Fill a glass with ice and strain into the glass.